Behind every good Road Runner is…well, a coyote…Wile E. Coyote, to be specific. The creators originally intended the cartoons to be spoofs of other cartoons; instead they became successes in their own right. 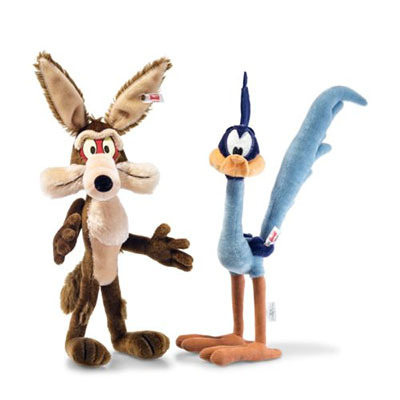 Jones considered many alternatives before deciding on the coyote and roadrunner characters. Jones as a child had read Mark Twain’s book, “Roughing It,” which contained an entire chapter on jackrabbits and coyotes (ergo, Wile E. Coyote). In “Operation:Rabbit,” the coyote is featured with a new adversary - Bugs Bunny. This was one of the few appearances in which Wile E. speaks, alas, to no avail. Bugs still manages to elude the persistent coyote. Legend has it that Jones was motivated to continue the series after receiving a letter from a Naval Air Force captain stating that his flight training pilots were calling “Beep! Beep!” to each other during maneuvers. Road Runner continued to be Wile E. Coyote’s target in the majority of his remaining cartoons. 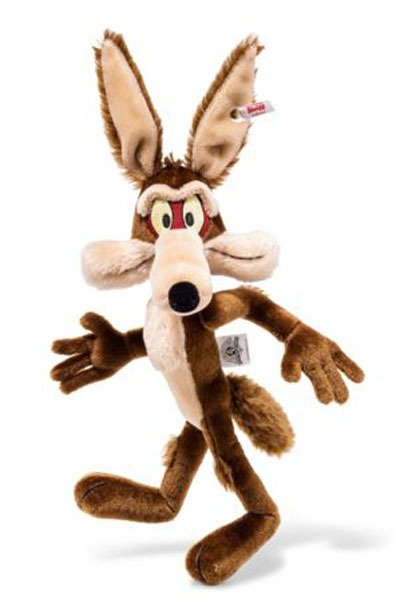 Wile E. persists in pursuing Road Runner even after his efforts have been thwarted time and time again. Check out Wile's Mate Road Runner.